SCMA Membership is based on an annual membership from Jan. 1 – Dec. 31 each year. However, if your application is received after Oct. 1, membership benefits shall extend to the end of the following calendar year. To apply for membership, fill out and submit the form below or fill out a printable application form that you can mail, fax or email to the SCMA office. To apply for a committee position, it is required that you submit a Willingness to Serve Form. Please fill out a Willingness to Serve Form and submit to the SCMA off ice for Board approval. 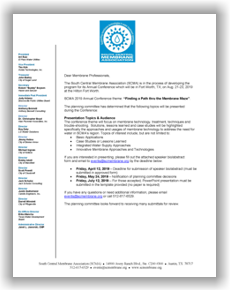 Authorization for receiving publication email notification from SCMA. I am interested in running for a position on the SCMA Board of Directors. I am interested in presenting at a SCMA Conference, Workshop, or MOC School. How many Affiliate Members will you include in this application?